Amerimed CPR Training / CPR in the News / CPR Kiosks at Airports!?! 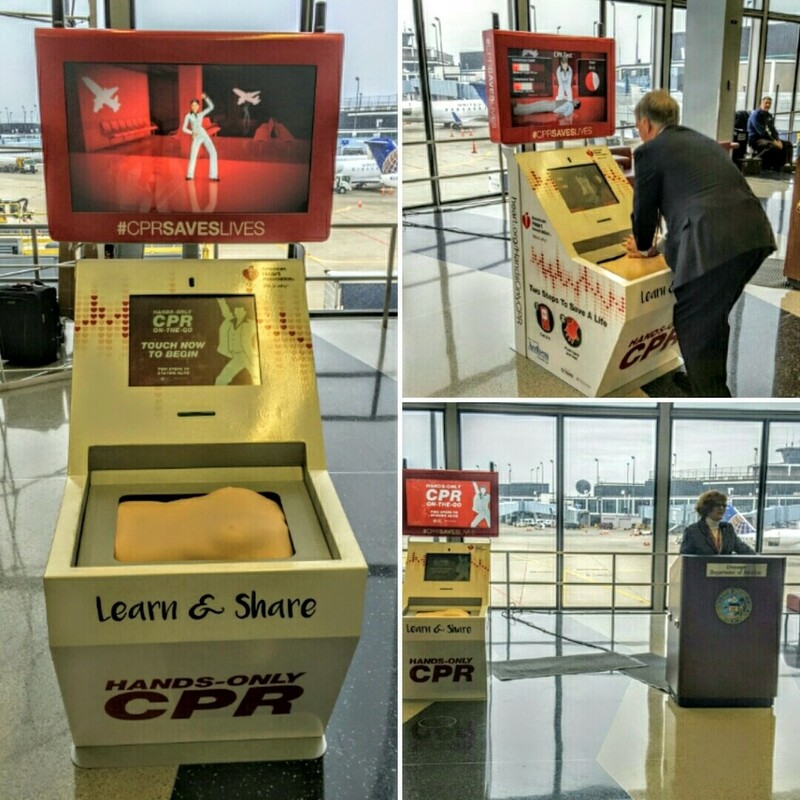 In February, 2013, the American Heart Association piloted the installation of a Hands-Only CPR training kiosk in the Dallas Fort Worth Airport. In 2016, the American Heart Association and the Anthem Foundation, the philanthropic arm of Anthem, Inc., introduced five Hands-Only CPR Training Kiosks that teach the simple, yet lifesaving skills of Hands-Only CPR. Today, there are more than 30 kiosks in cities all across the country (the nearest to San Diego being at the John Wayne Airport in Orange County) that have trained so many people who are now empowered to save a life. As of August 23, 2018, 100,000 people have been trained via one of these kiosks. So next time you are waiting for a flight, check around. You could learn how to save a life in about five minutes by visiting one of these Hands-Only CPR kiosks.